A Delaware County man has been arrested for allegedly stealing more than $350,000 worth of human skin from a Philadelphia hospital for years. Gary Dudek, 54, of Wallingford, Pennsylvania, is charged with theft and tampering with records. According to investigators, Dudek repeatedly stole skin grafts from Mercy Philadelphia Hospital between November 2011 and July 2013. Police say their investigation didn’t begin until January of this year, however, after officials at Mercy conducted an audit of their finances and noticed that skin grafts were missing. According to investigators, Dudek worked as a sales representative for Organogenesis, a Massachusetts-based regenerative medicine company, between September 2006 and September 2013. Police say he was in charge of managing accounts for Mercy Hospital’s bio-science department and that he also supplied the hospital with skin grafts. Due to his position, Dudek had an “open purchase order” which allowed him to order the skin grafts whenever he wanted. 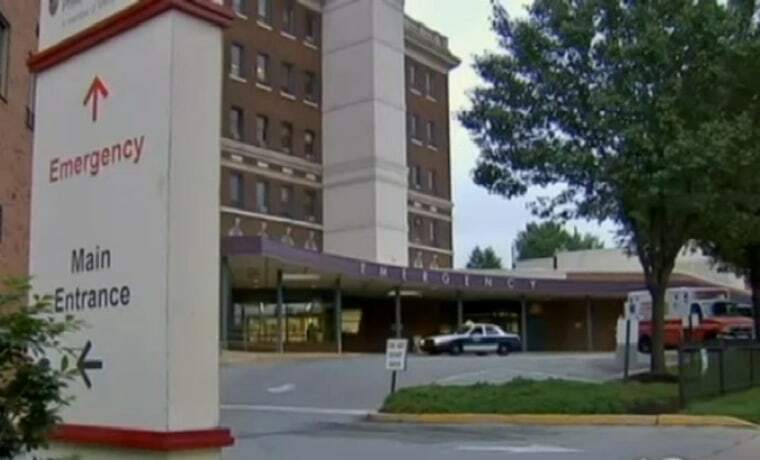 However, police say Dudek made several unauthorized purchases, and Mercy never received the grafts, leading the hospital to lose an estimated $357,000. Officials also say Dudek was captured twice on surveillance video taking the skin grafts from the hospital and putting them in his car. Dudek was arrested and released on Tuesday after posting 10 percent of $10,000 bail. At this point, investigators say they don’t know what Dudek did with the skin or the motive behind the alleged thefts. They suspect, however, that he was trying to make commission off of sales. NBC10 visited Dudek’s home on Wednesday, but he refused to comment and referred us to his attorney, Eugene Tinari. Tinari said in a statement that the issue should be a civil court matter and that the hospital has yet to prove his client did anything wrong. "If Mercy Hospital has suffered losses and they can be deemed to be as a result of Mr. Dudek's actions then perhaps a civil suit could have been initiated. But to take this into the criminal arena against a man who has been nothing but hard-working and law-abiding his entire life is a bit draconian, in my view," he said. Officials at Mercy Philadelphia Hospital told NBC10 they could not comment due to the ongoing investigation.